Having weathered the recent global crisis better than almost any other European country, Poland is laying the foundation for a sustainable long-term recovery. Poland's tumultuous history has made it no stranger to tragedy, but an overwhelming sense of loss engulfed the country after its president died in a plane crash on April 10. For the thousands who held vigils across the land, the deaths of president Lech Kaczyński and some 95 others—including central bank governor Slawomir Skrzypek—was just the latest blow to a country whose fatalistic national anthem famously begins: "Poland is not yet lost." The fact they died in Russia, en route to commemorate the 22,000 victims of the Katyn Massacre in 1940, made the tragedy even more horrendous. "The place is cursed," said former president Aleksander Kwasniewski. The plane crash hasn't been Poland's only recent crisis. April and May saw some of the worst floods in recent history as the Vistula River burst its banks, leaving many people homeless and businesses ruined. There has been anger at the government's perceived impotence, even though some two billion Polish zloty ($614 million) has been set aside for victims. Against this backdrop, acting president Bronislaw Komorowski of Civic Platform and Jaroslav Kaczyński of the Law and Justice party—the former prime minister and Lech's twin brother—have been vying for the presidency. In the first round of voting, held June 20, Komorowski edged ahead by just 4.5%, a much closer result than anticipated. 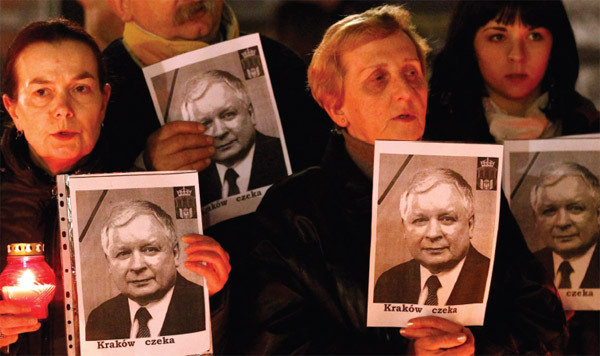 Although he remains the favorite, the vote showed that the tragedy played to Kaczyński's political advantage. Yet what is even clearer is that 20 years after the collapse of communism, Poland is increasingly resilient and able to put tragedy behind it. One unexpected outcome from the crash was the uplift in relations with Russia, as prime minister Vladimir Putin, president Dmitry Medvedev and the Russian media all went out of their way to express sympathy. Relations between the two countries are now the best that they have ever been, reflecting Poland's strong sense of being not only rooted within the Western mainstream, through membership in NATO and the EU, but also a large and increasingly important economy in its own right. Most observers agree that, as the only European country to experience any growth last year—1.7%, against the EU average of –4.2%—and as one that has kept unemployment at about 10% and inflation at a low 3.4%, Poland has had a good crisis. To an extent, these numbers reflect the effective and broadly consistent economic management of recent years, particularly under the current Civic Platform government. 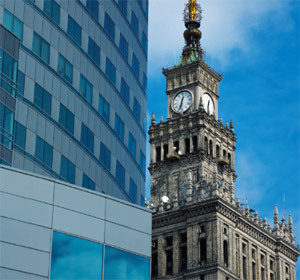 When the crisis broke in 2008, Poland was well positioned, says the European Bank for Reconstruction and Development (EBRD), thanks to "the comparatively small domestic and external imbalances, the large domestic economy, a relatively unleveraged banking sector and less buoyant credit and housing markets in recent years." Moreover, just as the crisis struck, the central bank was allowing the zloty to weaken, boosting Poland's external position by discouraging imports and boosting exports. Meanwhile, income tax cuts planned several months earlier came into effect in early 2009, providing a welcome boost. "Poland really came through this crisis in a remarkable way," says Anatoli Annenkov, Poland's economist at the EBRD, emphasizing the generally healthy condition of its well-regulated financial sector. Banks have not overextended and mostly enjoy good loan-to-deposit ratios, although there are now some concerns that risk-aversion could crimp lending to businesses. The country also benefited from not being part of the eurozone. A recent report by ING points out that the flexible exchange rate proved "a textbook shock absorber" over 2009. As the late central bank governor Skrzypek wrote in a posthumously published letter, it was key to boosting noninflationary growth and lowering the current account deficit because it discouraged imports and encouraged exports. He concluded that Poles "shouldn't rush" toward euro membership but should first create "a more sustainable economic structure that will make them better equipped for the euro in the long run." Euro-membership for Poland anytime before 2015 looks unlikely. Skrzypek's successor, Marek Belka, is a respected technocrat and departmental director for the IMF whose first concern will be to work closely with finance minister Jacek Rostowski; both support the continuation of the hitherto-unused $20.5 billion IMF credit line despite the estimated $50 million cost of doing so. The official view seems to be that, given the uncertainty afflicting European markets in particular, safe is better than sorry, even though the country has hefty foreign currency reserves of $85 billion. Investors, for their part, seem quite happy. The May IPO of 30% of the government-owned insurance company PZU, which realized $2.3 billion, was almost 10 times oversubscribed. Privatization generally has been progressing in accordance with Warsaw's Three Year strategy, which envisages the sale of some 800 state-owned enterprises; gross revenue for 2010 is currently $3.5 billion, against an annual target of $7.6 billion. Meanwhile FDI inflows have remained reassuringly high: some €8.4 billion ($10.4 billion) last year, not much down from 2008's €10 billion, with Fujitsu, ABB, Procter & Gamble and Dell among large recent investors. At least €10 billion is expected this year. According to AT Kearney's latest Foreign Direct Investment (FDI) Confidence Index, Poland went from 22nd place to 6th in the ranking, indicating increased foreign investor confidence. Even if sentiment toward Central Europe flags, activity should to some degree be safeguarded by the substantial investment being put into infrastructure (traditionally Poland's Achilles' heel), underpinned by EU structural adjustment funds worth some €70 billion over the next five years. Major new highways that will connect the country north to south and cross from the German border to Belarus and Ukraine via Warsaw and Krakow, coupled with an upgrade of the railroad system, will provide major benefits. Meanwhile industrial production has picked up on the back of a cheaper zloty: In May output increased 14% year on year, almost twice market expectations. Yet despite these favorable signs, GDP is expected to grow below potential; although the OECD forecast 3.1% and 3.9% growth for 2010 and 2011, most forecasters agree that the IMF forecast of 2.7% and 3.1% is closer to the mark. "We expect GDP to grow around 2.5% a year over the next two years: That's good compared to countries like Hungary or Romania, but a long way from the 5% to 6% Poland was achieving pre-crisis," says Neil Shearing, an economist at macroeconomic research consultancy Capital Economics, adding, "I'm afraid those days are gone." He and others point to growing market concerns about the eurozone's current crisis and its possible impact on Poland's trade and financing prospects. 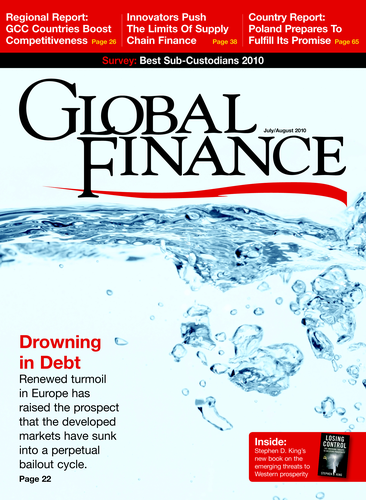 Many international investors are feeling that emerging Europe is no place to be near right now. "Poland is fighting a headwind not of its making, namely the increasingly negative connotations markets have of the EU, the eurozone and European banks," says Charles Robertson, London-based head of emerging markets at ING. For this reason, Warsaw was obliged to price the sale of 52% of Tauron Polska Energia at close to the bottom of the anticipated price range raising some $1.28 billion on June 22. The good news however was that in its third-largest IPO in six years and Europe's fourth-largest this year, it successfully placed the stock—many other EU companies have opted to defer IPOs since the debt crisis blew up. So how can Poland improve its prospects? Given its large geographic size, the low-tax approach so successfully adopted by smaller countries such as Slovakia and Estonia is not an option. However, there are things Poland can do. Some observers believe the Polish investment agency PAIZ needs to be beefed up to attract FDI more aggressively and ensure that Poland can raise sufficient private-sector capital to ensure it continues to be eligible for EU matching funding. With just a €4 million budget and no overseas offices, PIAZ is dwarfed by such competitors as Ireland's investment agency, the IDA, which has a €122 million annual budget and 15 international offices. Also, Poland's business environment, 20 years after the collapse of communism, remains opaque and overly bureaucratic. In a recent World Bank survey, Poland ranked 72 out of 183 countries for ease of doing business—the lowest among new EU member states. Its takes some 32 days to get a business up and running in Poland, against the central-east European average of 17.4 and the OECD average of 13. Business registration takes 197 days, against the OECD average of 25. In its Corruption Perceptions Index, Transparency International ranks Poland 58th, again lower than most of its neighbors, suggesting the need for greater openness in such areas as public tenders. The EBRD's Annenkov says the government should also look at raising labor participation rates in the economy—something it is already beginning to tackle by phasing out early retirement—and improving the quality of human capital, for example, by boosting education and training, to lift productivity. "Although the economy has performed impressively in recent years, policymakers will increasingly need to focus on sustainability and the factors constraining long-term growth," he says. The government will also need to start addressing concerns about its budget deficit, currently 7% and expected by ING Barings to end 2010 at around 7.3%. Although that deficit is much lower than those of other EU countries, observers deem it quite high given that the economy did not contract. Another concern is public debt, which currently stands at 53% of GDP, where it is expected to remain—proving that Poland is no Greece, which has a public debt ratio in excess of 120%, or Hungary whose debt ratio is about 80%. (Indeed, the EU average is about 70%.) However, the fact it is so close to the 55% limit mandated by the constitution, at which point the government is obliged to impose tough austerity measures to reduce it, has raised concerns. Although its large financial sector makes Poland less market-dependent than other emerging European economies, currency volatility still has an impact on the economy. Between the start of April and late May, the markets pushed the zloty down by 5.7% against the euro, even more than the 4.9% depreciation of the Hungarian forint, though Poland's currency has since recovered ground. "This depreciation was worrying, given this was when Poland gained a respected new central bank governor and when Hungary caused ripples by comparing itself to Greece," says Shearing. Others are more confident, however, and reckon that, despite the current caution among consumers and companies, the outlook for Poland is good. "Over the long term, Poland is a sustainable growth story, perhaps the best in the whole of Europe," says ING's Robertson.